Mr. Eoghan Murphy, T.D., Minister for Housing, Planning, Community and Local Government opened a public consultation process, inviting submissions on the targeted review of the Government’s Rebuilding Ireland Action Plan, following its first full year of implementation. Rebuilding Ireland – Action Plan for Housing and Homelessness was published on 19 July 2016 as the Government’s response to the biggest single challenge facing Ireland — the housing and homeless crisis. Lay the foundations for a more vibrant and responsive private rented sector. Written submissions are welcome from stakeholders within the housing and homelessness sectors as well as from members of the public and should be sent to rebuildingireland@housing.gov.ie not later than 12 noon on Friday, 11th August 2017. A cover template for submissions is provided and should be completed and returned with all submissions. Review of Rebuilding Ireland Action Plan, Department of Housing, Planning, Community and Local Government, Custom House, Dublin 1, D01 W6X0. How do I get information on Rebuilding Ireland? 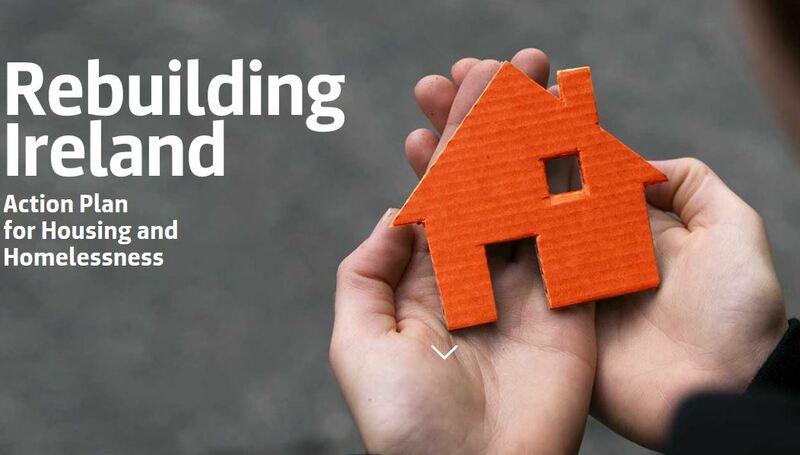 A dedicated website, www.rebuildingireland.ie (link is external), is in place as the central portal to report progress on implementation of Rebuilding Ireland and to keep the public informed on key developments in relation to the five key pillars areas. It includes monthly reports on housing market activity, quarterly progress reports on implementation of specific action included in the Rebuilding Ireland Action Plan and regular announcements of key developments as they occur.